With a pixel density of 401ppi, the LeTV Le 1s features a 5.5-inch Full HD LCD display of 1080p resolution. An octa-core processor with Mediatek MT6795T chipset is the heart of the phone. Coupled with 3GB DDR3 RAM this 2GHz CPU is capable to to provide seamless performance. To enhance the gaming and visual experience, it is assisted by PowerVR G6200 graphics processor. 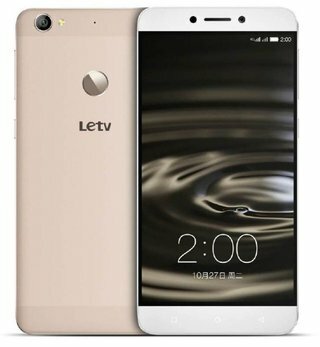 The LeTV Le 1S runs on Android v5.1 Lollipop which is installed as default from factory with security features like fingerprint sensor for extra security on device. Weighing 169gms this phone boasts a waistline of just 7.5mm thin. To capture brilliant images, the LeTV Le 1s comes equipped with a 13MP auto-focus camera along with LED flash for night photography. The 13MP main camera has an aperture of f/2.0 with many high quality features like Face detection, Geo tagging, White balance presets, Exposure compensation, AF Phase Detection and more. The 13MP main camera is also suitable for recording high quality videos with resolution of 3,840 x 2,160 at 30 fps. Internal memory is limited to 32GB with no support for adding additional storage cards. The device carries a 3,000mAh Li-Po non-removable battery to hold the power supply flowing and it provides enough backup for hours of talktime, browsing the web and gaming. From the connectivity front, the smartphone offers 4G (Indian brands), Mobile Hotspot, 3G, Bluetooth v4.0, Wi-Fi 802.11, a/ac/b/g/n/n, GPS having a-GPS and USB port also. The LeTV Le 1s includes a powerful configuration at a steep price point of under Rs. 10,000 which helps you to enjoy seamless gaming, movie watching and browsing experience. The product fairs excellent in most other fronts at the same time with a great front and back cameras, Eye-catching sleek and slim design, good battery backup, added security features like fingerprint sensor, and a good connectivity options ensure it is an outstanding smartphone under Rs. 10,000.